Sonos®, the leading manufacturer of wireless HiFi, today introduced the Sonos PLAY:1™, a compact and powerful wireless speaker that transforms music listening at home. 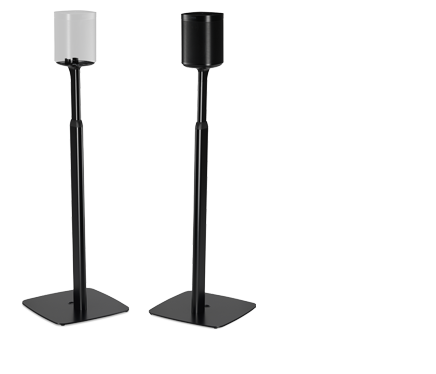 PLAY:1 streams all your favorite music to any room in the home, in high fidelity sound. Available today in the US from select partners and on Sonos.com, PLAY:1 retails for $199. And, for a limited time this holiday season, purchases come with a free BRIDGE valued at $49. "Sonos was created upon the belief you should never have to choose between quality sound and an easy way to access all your music at home," said John MacFarlane, CEO, Sonos, Inc. "The PLAY:1 makes getting started with Sonos even more accessible to music lovers than ever before." PLAY:1 is a smart speaker that features hardware and software designed by Sonos to ensure the best possible performance for the size. A custom-designed mid-woofer and tweeter deliver deep, rich and surprisingly big sound. With a powerful low-end and crisp mids and highs, new smart processing technology pushes Sonos’ drivers further than ever before, minimizing distortion even at full volume. Plus, PLAY:1 projects a wide field of sound, delivering a great listening experience no matter where you are sitting in the room. And since the Sonos wireless network is devoted to streaming music in HiFi sound, you’ll enjoy smooth music wirelessly without dropouts anywhere in your home. PLAY:1 is built to last with premium materials and rock-solid construction. A sealed architecture creates resistance to the most humid conditions in the home, even steam from a running shower. PLAY:1 lets you stream all the music on earth and access it all using a single, easy to use app. Play millions of songs and playlists from the most popular music services like Pandora, Spotify, Hype Machine and Rdio; listen to your personal music library, whether it’s stored on your computer, in the cloud, on your smartphone or on your tablet; or tune in to more than 100,000 free Internet radio stations, podcasts, and shows from around the world. •Control your favorite music sources and listening experience with the free, intuitive Sonos Controller apps for iPad® iPhone®, Android™, Mac and PC. •Add more PLAY:1s or combine with other Sonos wireless speakers or components around the home for the ultimate, multi-room HiFi system. •Pair two PLAY:1 units for amazing stereo sound, or use two PLAY:1s as rear speakers with PLAYBAR and a Sonos SUB™ to create 5.1 home theater sound for your TV. The minimalist design of PLAY:1 features a new button on top of the cabinet that allows you to play and pause your music with a single push of a button. You can also press the same button twice quickly to easily skip to the next track, a feature that has been requested frequently from the Sonos community. And because all Sonos products are designed to get better over time, customers with existing Sonos players can take advantage of the new play/pause functionality with the latest software update, available today. For more information on Sonos PLAY:1 including where to buy, technical specifications and more, please visit sonos.com/PLAY1. For more information about Sonos or to locate an authorized Sonos dealer in your area, please visit www.sonos.com or call 877.80.SONOS. Founded in 2002, Sonos® is the leading manufacturer of wireless music systems. 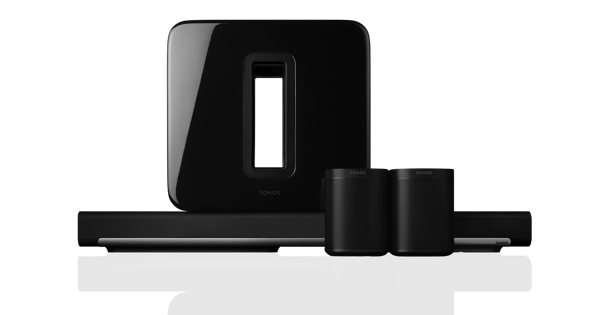 The Sonos Wireless HiFi System lets you stream all the music on earth wirelessly in every room of your home with control from your Android® smartphone, iPhone®, or iPad®. In addition to playing your personal digital music collection, Sonos gives you access to millions of songs and thousands of radio stations by partnering with AUPEO, Deezer, iheartradio, JUKE, Last.fm, MOG, Napster®, Pandora®, Rdio®, Rhapsody®, SiriusXM Internet Radio, Slacker Radio®, Spotify, Stitcher SmartRadio™, TuneIn, Wolfgang’s Vault, and more. The award-winning Sonos Wireless HiFi System is available at more than ten thousand retailers in over 65 countries worldwide; or direct from Sonos at www.sonos.com. 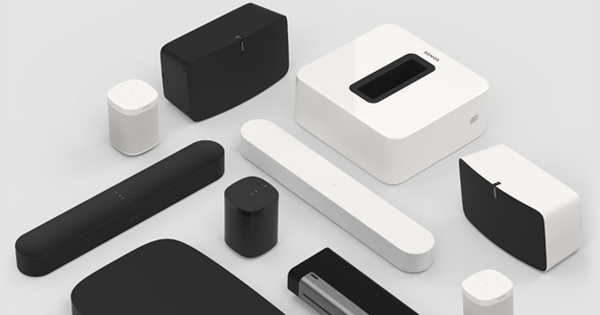 Sonos, Inc. is a privately-held company, headquartered in Santa Barbara, California with offices in Cambridge, Massachusetts, Hilversum, Netherlands, Shenzen, China, and Penang, Malaysia. © 2004-2014 by Sonos Inc. All rights reserved. Sonos is a Registered trademark of Sonos, Inc. in the U.S. and other countries with pending trademark registrations worldwide. SonosNet, ZonePlayer, ZoneBridge and all Sonos logos are trademarks of Sonos Inc. in the United States and other countries. All other products and services may be trademarks or service marks of their respective owners.